Virtual reality, mobile apps, robots, 3D technology and artificial intelligence have dominated social chatter around South by Southwest Interactive during the first few days of the five-day festival. According to social media analytics company Sysomos, those subjects have been the tech conference's buzziest technology topics—in that order—on Twitter, where they have collectively garnered 147 million impressions. 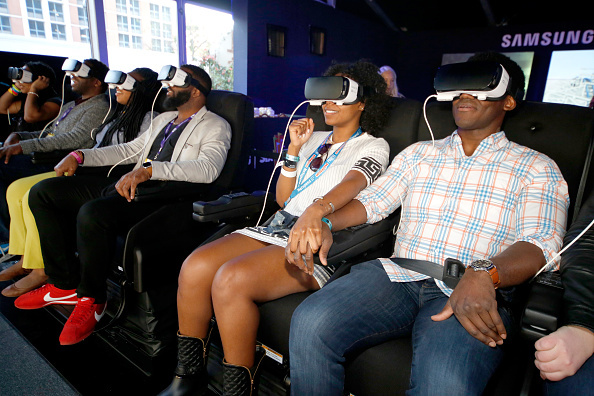 VR chatter has been generated by a number of brand activations at the Austin, Texas, conference, including Samsung and McDonald's, among others. Messaging apps such as Snapchat, Kik, Viber, Yik Yak, WeChat and others have been constantly mentioned on digital marketing panels. And South by Southwest's first Robot Ranch is likely driving conversation on Twitter around robots, while numerous speeches about how bionic helpers will eventually impact our lives have probably also helped. Two high-profile acquisitions have driven the social chatter around startups at SXSW, per Sysomos. Since Intel announced on Friday it bought Replay Technologies—an Israel-based 3D video tech company—the purchase has been mentioned on various social channels 6,200 times in connection to South by Southwest. General Motors purchased Cruise, a self-driving car developer, for a reported $1 billion the day before, and Sysomos stated that Cruise and SXSW have been socially mentioned together 4,712 times. All told, news of the purchases reached 44.1 million Twitter readers. Because each of the acquisitions directly has little to do with the conference, such data underscore that there may not be a break-out tech star at SXSW this year. Lastly, the topic of driverless cars has been hot as well at SXSW, said Sysomos, reaching 45.1 million Twitter users.